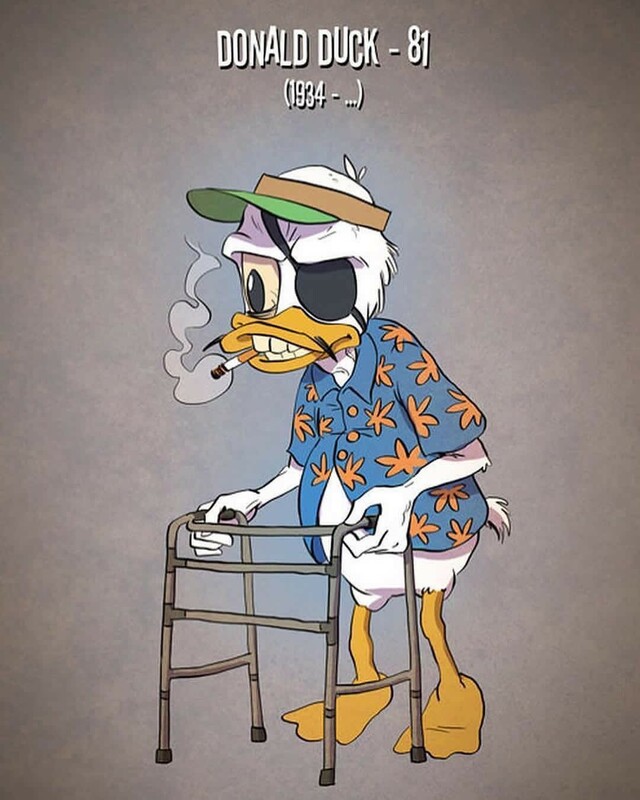 People often forget – especially with all the recent live action remakes – that most Disney and Looney Tunes characters that don’t belong to Marvel (and even some of those, really) have existed for, well, longer than most of our parents. And even after all those decades of being depicted in popular media, they’ve rarely ever had an update to their look and appearance. 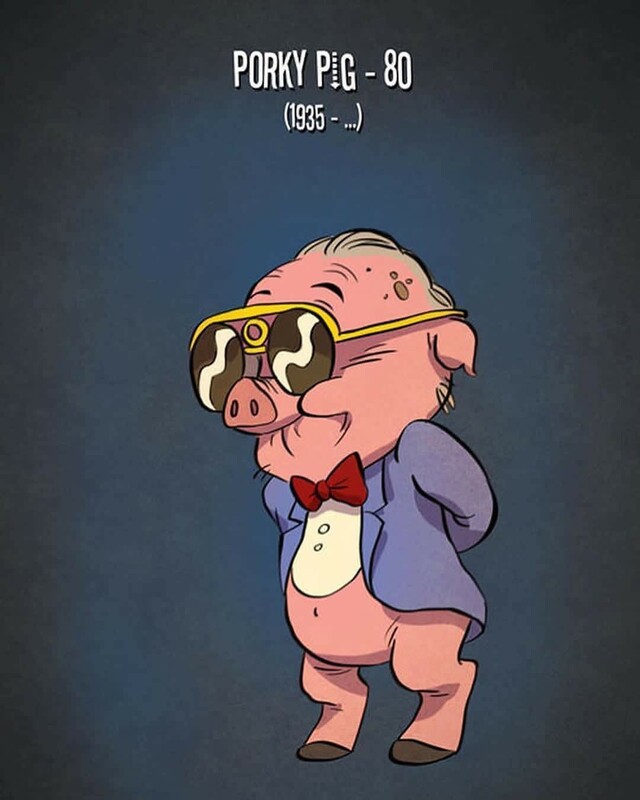 Instagram page Superwrongmagazine figured it was about time that these popular characters were shown like their true age. Spoiler alert: that means like old people. Let’s take a look at some pictures that’ll no doubt make you feel old instantly. Enjoy! 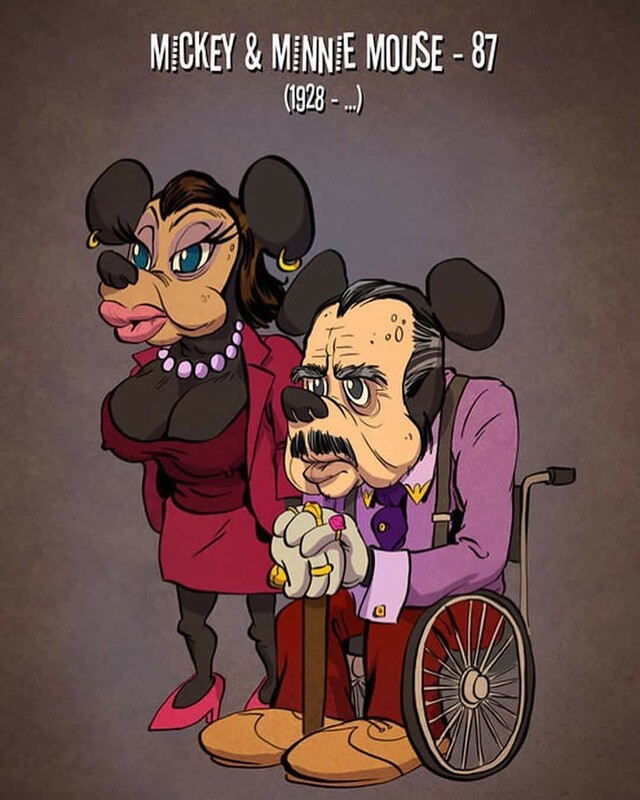 Minnie looks like her halflife crisis hit her hard and she had some work done, while Mickey looks eerily like Marlon Brando’s Godfather. I guess that does fit the image of a somewhat aged (87 is still young, right?) “first family” of Disney. 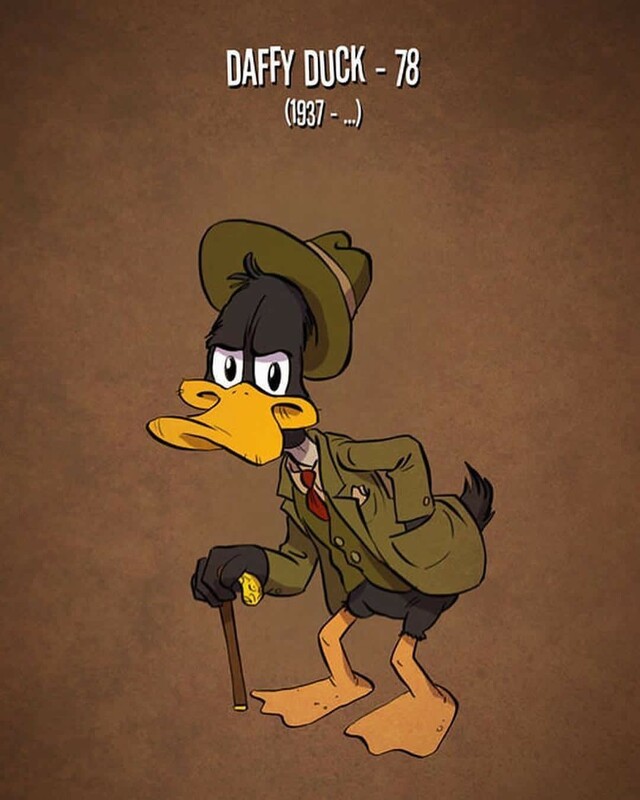 Daffy looks like an old guy aged 78 that still wants to go traveling through Africa to finally discover an animal he read stories of when he was a young boy. 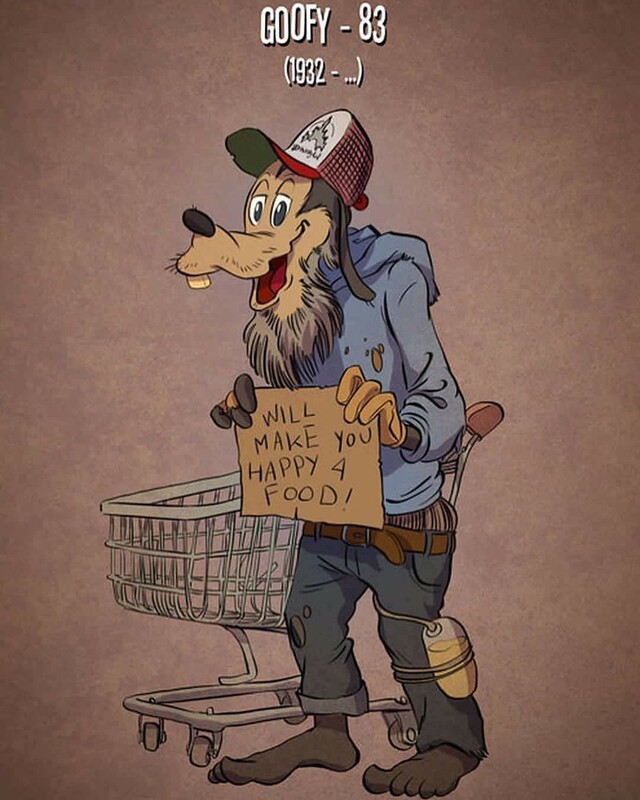 Goofy as a homeless 83-year-old hits me right in the childhood. He always made me happy, so he’d have all the food he wants. 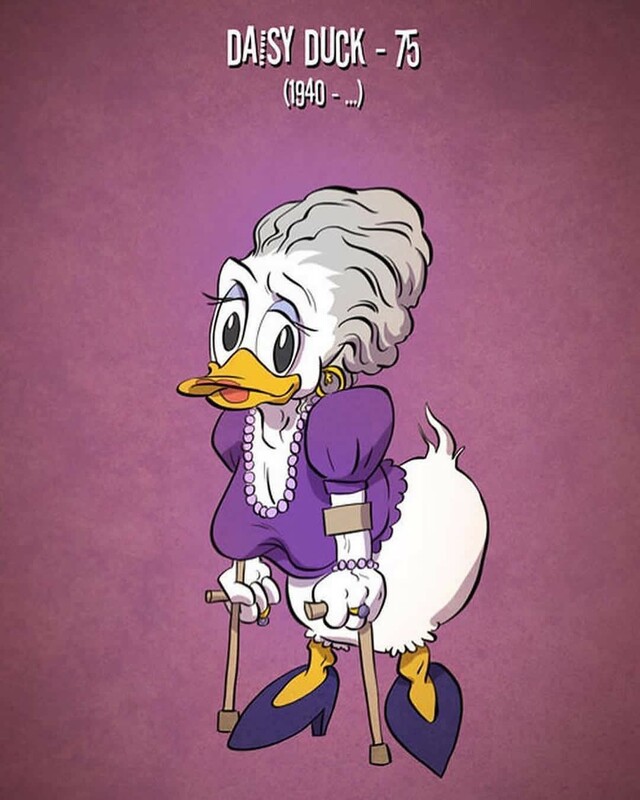 Daisy still tries to look her best with the make-up, but turning 75 is bound to leave some marks, isn’t it? 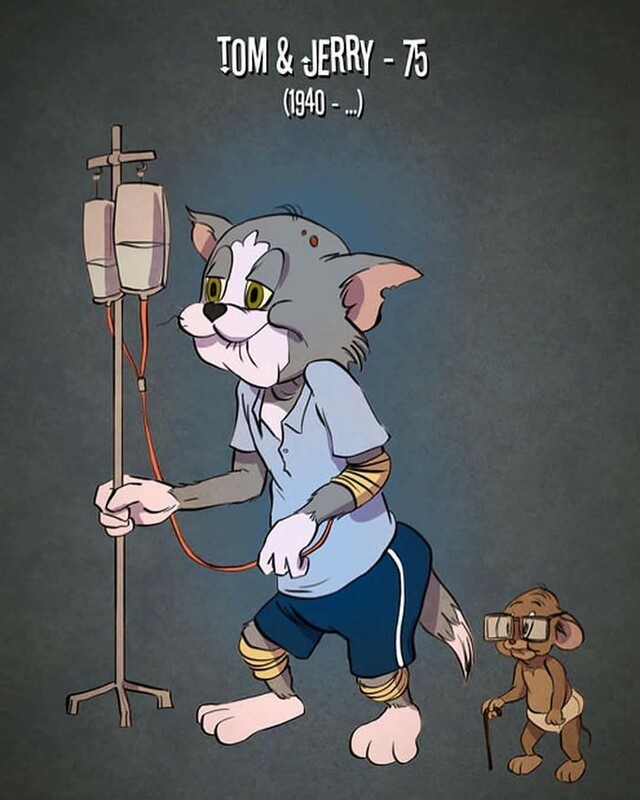 Poor Tom and Jerry, looking like they’ve seen some stuff. At least they seem to be getting along now. I guess the ripe age of 75 tends to let old grudges die. He looks like one of those sneaky 80-year-olds, doesn’t he? 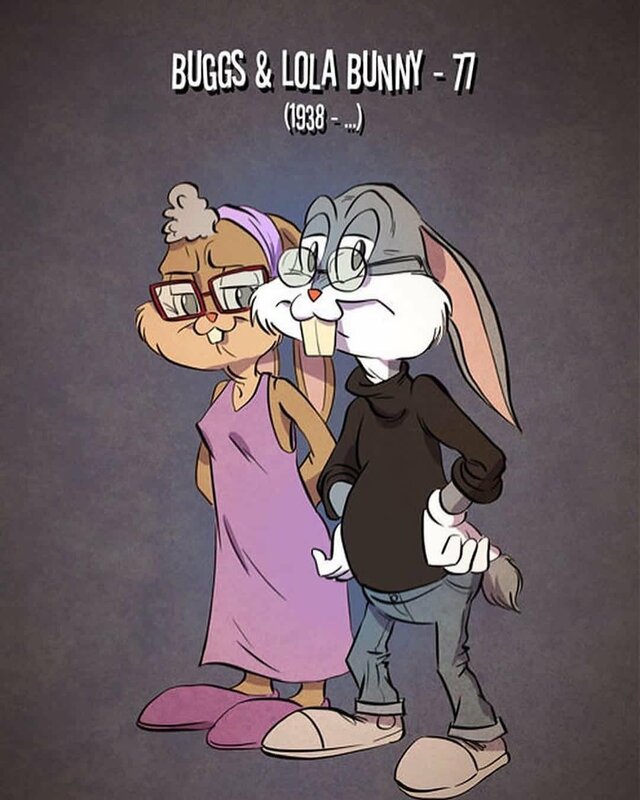 Buggs being dressed like the late Steve Jobs is probably pretty adequate for the smartest guy of all the Looney Tunes. They may be 77, but they’re still happy together! 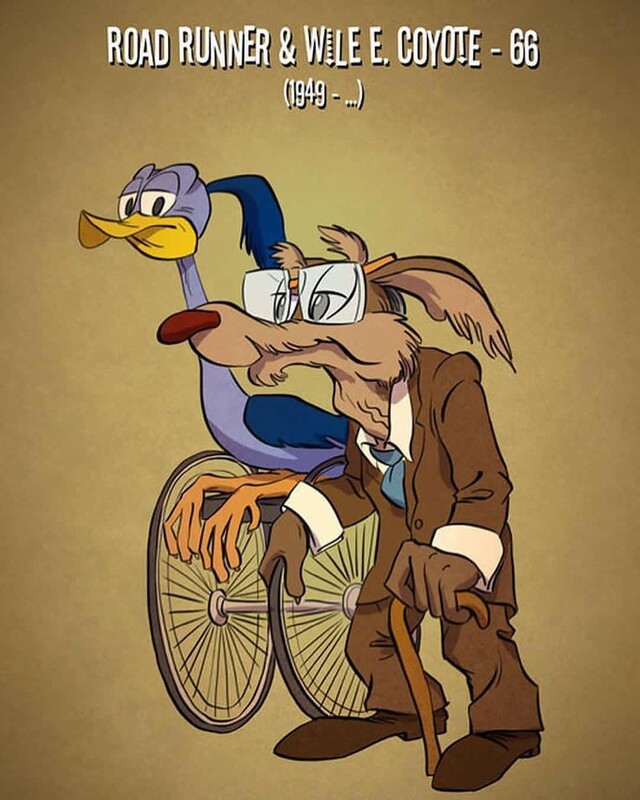 Poor Road Runner, being stuck in a wheelchair after outrunning Wile E. for 66 years. Nobody likes it when someone you love turns into an alcoholic, even if they reach the ripe age of 73. 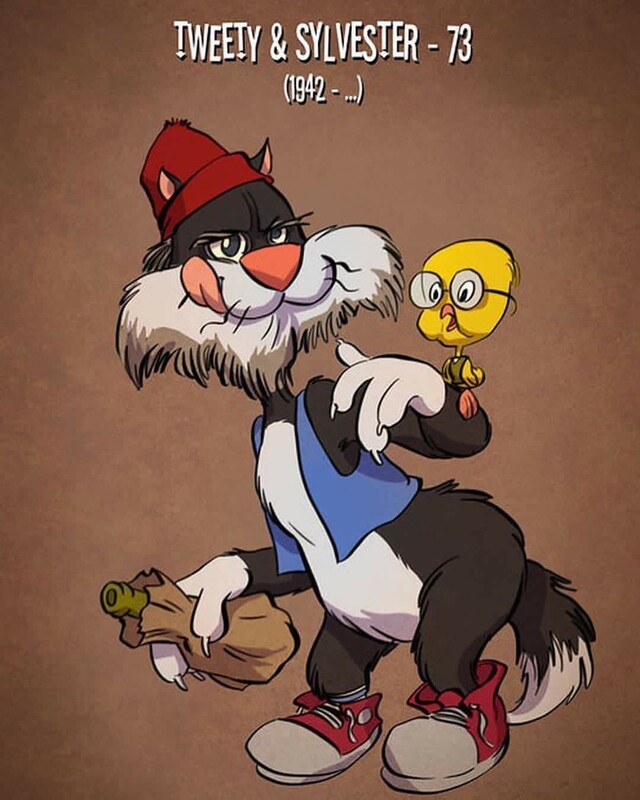 Hopefully Tweety can help Sylvester get sober again.